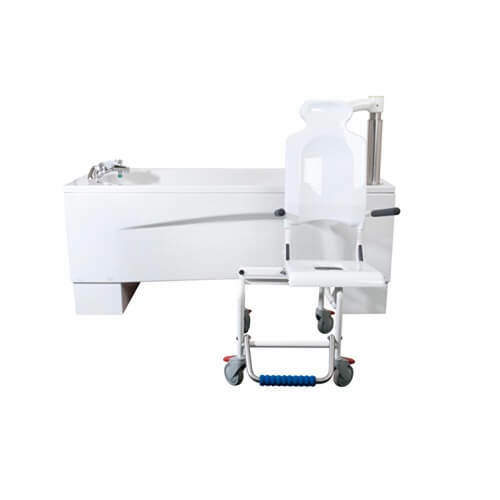 The Syncra modular height adjustable bath with powered seat is designed to offer safe, secure and comfortable independent and assisted bathing. 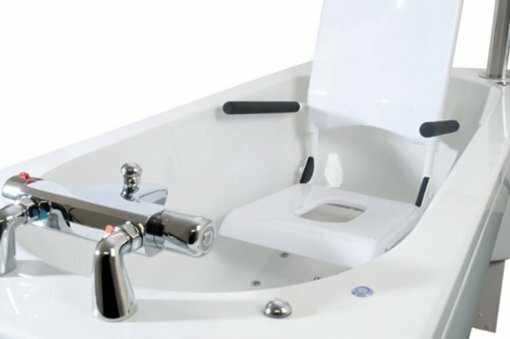 The fully powered transfer seat and bath are operated at the touch of a button and are extremely quiet and smooth with no juddering ensuring quick and easy bathing for all mobility levels. 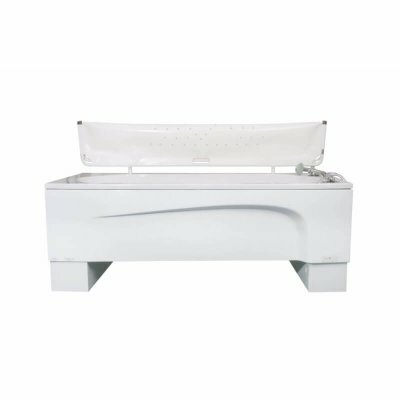 A Simple, beautiful bath which has been designed without compromise and makes an excellent cost effective bathing solution. When in use, the transfer seat locks securely to the lifting arm and fold away arms give the bather extra comfort and reassurance. 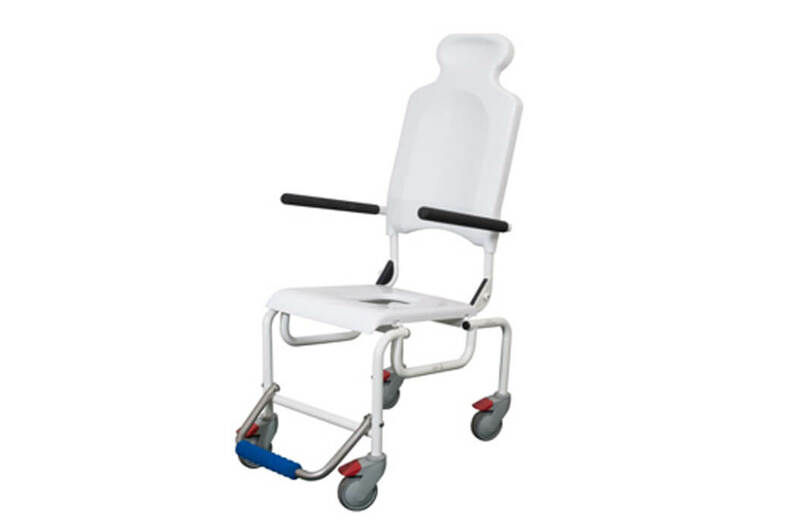 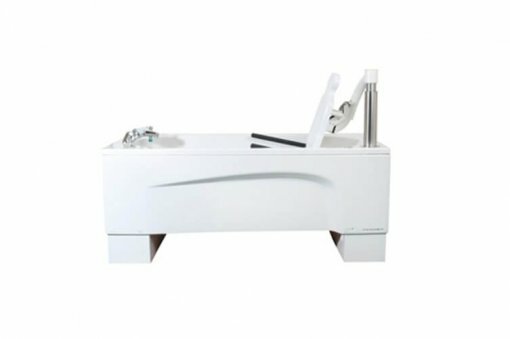 For extra bathing assistance, the seat can quickly be detached from the bath and positioned on an optional transfer frame enabling easy bathroom to bedroom transfers. 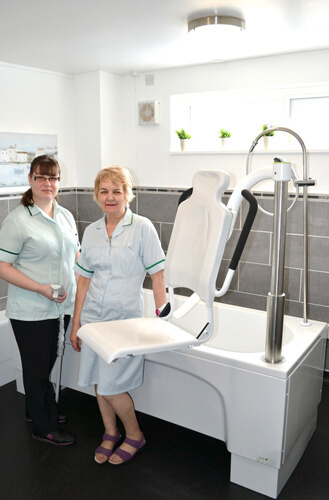 The Astor-Bannerman Syncra height adjustable bath allows the care giver to perform assisted bathing routines effectively and efficiently saving time and eliminating carer and bather discomfort. 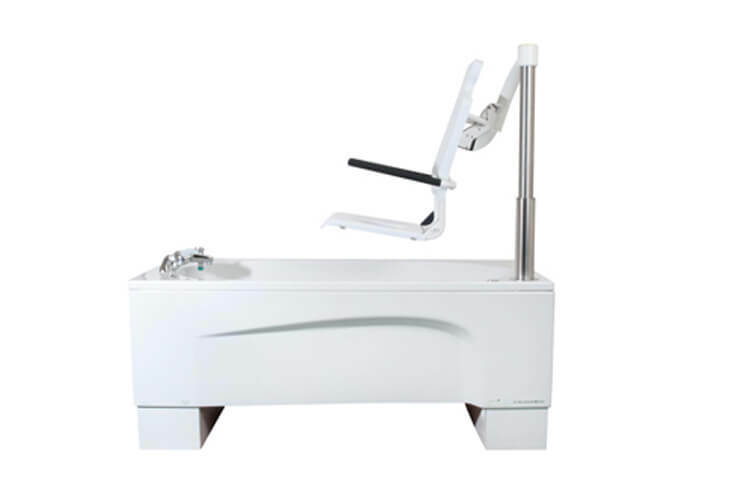 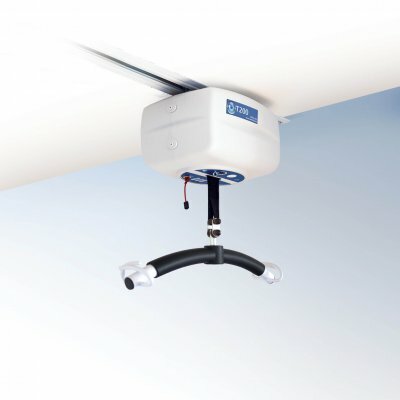 As with all Astor-Bannerman assisted baths, the Syncra bath has battery backup in the event of power failure and access for floor and ceiling hoists if required. The orientation of the seat can be selected and the Syncra bath also has a wide range of optional extras which are offered to customise the bath to individual client needs. Options include safety harness, warm air spa, Bluetooth music system with integrated speakers and colour changing LED lights for an added sensory experience. 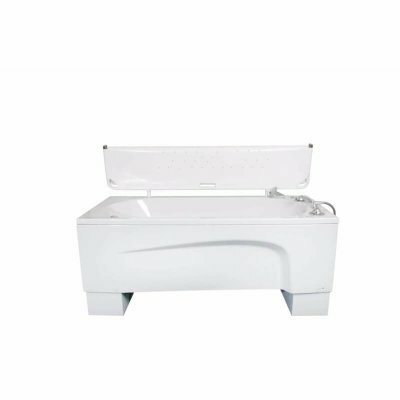 Also, for bathers who may need a little extra space, a longer tub (1960mm) can be chosen. 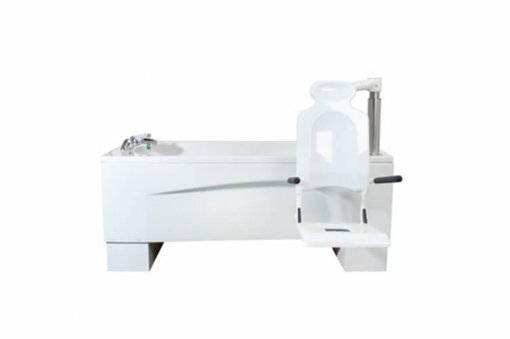 The Syncra assisted care bath has a 3 year warranty* for extra peace of mind and has range of thermostatic mixer tap options and a WRAS approved gantry shower if required.